My Spanish class includes two culture projects to get a closer look at how hispanic culture and people have had an impact on our world. For the first culture project I had to choose a topic related to authentic creative work that originated from the Spanish speaking culture. 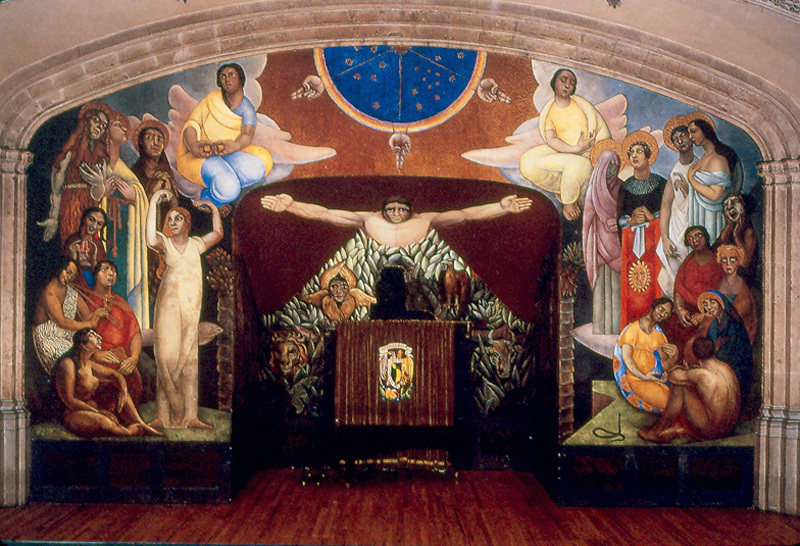 I chose to do my project on Spanish muralist/painter Diego Rivera, and in particular I studied his mural “Creation”. Below… The first link is the essay I wrote about Rivera and his art piece, Creation. The second link is the short powerpoint I put together, showing some pictures including the Creation and a few of his other art pieces. This entry was posted in Uncategorized and tagged #InquiryHub, #Spanish. Bookmark the permalink.